Hire a professional painter this summer! Do have an area of your home that needs to be painted? 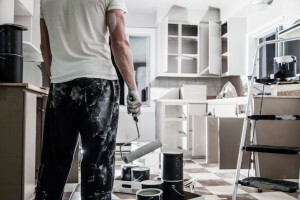 Are you going to hire a professional painter or do the job yourself? People often shy away from hiring a professional painter because they do not want to incur the expense. However, in many case cases, it just makes more sense to leave certain painting projects up to the professionals. Painting is usually a time-consuming process. If you can’t dedicate a day to a painting project, it may just make more sense to hire a professional painter. Painting projects sometimes require specific tools. In order to achieve quality results, you need to use quality supplies. Certain projects will require you to purchase an array of new brushes, paint rollers, painters tape, drop cloths, etc. In some instances, it may just make more sense to hire a professional who has everything to complete the job. Also, you can certainly make the argument that there is no sense in buying expensive painting supplies that you are only going to use one time. If you want to achieve the best results possible, your best bet is to hire a professional. If you need to paint intricate areas like trim, you may need a professional’s touch.